Sequin Pattern on Net gown. 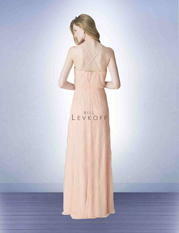 Spaghetti strap gown with a blouson top. Straps criss-cross in the back, A-line skirt.